Go Bananas out! Play at Thrills! 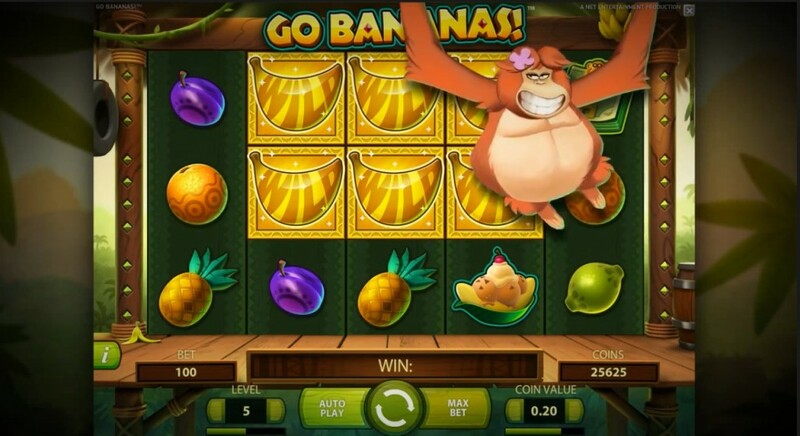 The Go Bananas slot from NetEnt is jungle-themed, more specifically, monkey-themed. Although NetEnt has announced that it will be released in September, they have not said anything about a specific date yet. One source reports that it will be released on September 24, 2014. 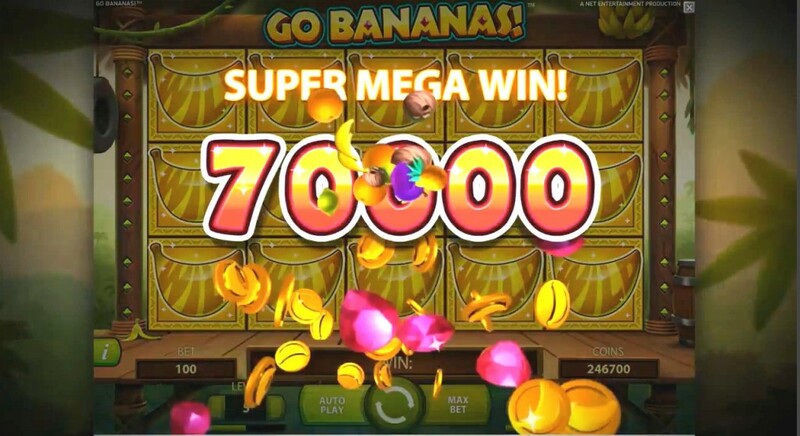 Go Bananas is a 5-reel, 20-payline slot game with a ton of events. There are 5 different wilds from Wild Gorilla, Wild Orangutan, Wild Baboon, Wild Tarsier and Wild Langur. 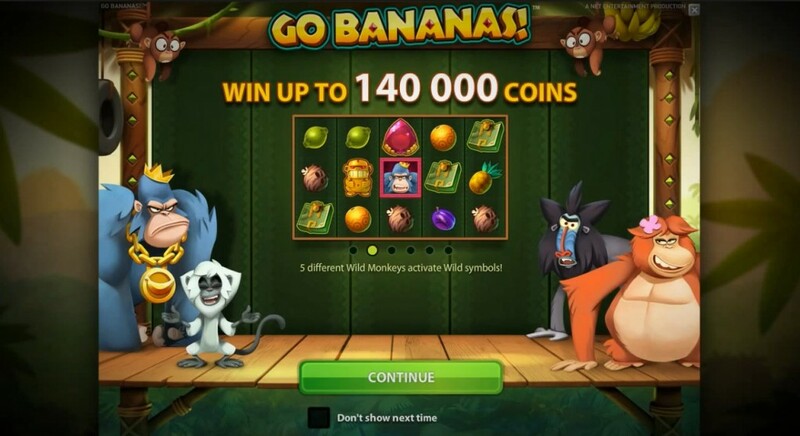 The game is quite fun and the animations of the monkeys is also quite amusing to watch. The game is very colorful and the animations has great details. When you land on a wild, the specific monkey comes out to celebrate with you. It makes the game play more fun and personalized.